Well hello volunteers! This edition of the newsletter has some of the best news I have seen in a while! I am so proud of all of you. Keep scrolling and clicking to see why! Friday Aug 28th we are hosting Yappy Hour here at the shelter from 5-7pm! This is an extra special Yappy Hour honoring those dedicated volunteers who gave us so much of time and energy to bring project fence to life! Bring your dog and your friends, and your friend’s dogs. Have a beer, eat some food, and let the dogs run around making new friends. Hey you could even make a new friend. I will be there and I would love to see you there too! If you would like to volunteer to help with set up of this event please let me know! Remember Doc the Border collie who went to live at the OSCI prison? Well, his handlers have been so thrilled with him that they want to say thanks. They are scheduling a fund raiser event for Willamette Humane! We need 8-10 shelter dogs and volunteer handlers to visit in a group to the visitation area of the prison where the inmates are planning a festival which will include games and their own families who will be there to meet the dogs and fund the activities. Details are coming soon, but if you are willing to be a dog-handling volunteer (green, yellow, red and blue are invited), please sign up with Kim. Volunteers will be screened with a background check and must provide name, birthday, driver’s license and license expiration date. When we visit, there will be details about what we can bring in, what to wear and so forth – but don’t worry about that now – just let us know you are coming so we can get you cleared to attend. This is going to be a fun and heartwarming event. Join us! Do you have a vacation home? Are you willing to donate a week’s stay to WHS? Vacation lodging is incredibly popular at Bowser’s Boo Bash, whether it’s in Bend, Hawaii, or at the coast. 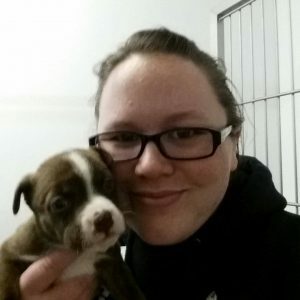 Please call Meredith if you can donate.Meredith.kuhl@whs4pets.org or 503-585-5900 ext. 304. Limitations (length and time of stay, for example) can be placed on the donation. The Jory and Harkins Family! Thank you for working so hard at cleaning all of our cat adoption areas every week. You guys are amazing! Kudos to you for helping me to harness Wowie, even though your shift was over. I really appreciate the help. Best Friends Animal Sanctuary in Utah has over 700 cats! Cats also love food puzzles! August will have a “Pick Your Price” adoption special for adult cats! If you or someone you know has been looking for just the right friend now you can get one at just the right price! Help us reach our goal of 50 extra cat adoptions for the month of August. Share with your friends and family! August 31st from 4-9 pm at Santiam Brewing. Black Sheep catering next door has some amazing nachos and you should all come out and eat nachos with me, have a beer with BJ and play with some kittens! We would love to have you. It’s always a great event. If you haven’t signed up to be a Golden Hearts member that would be a great time as well, you can get a free pints for paws pint glass with a ticket for a free fill of Santiam’s finest brew! I heard today that Bowser’s Boo Bash is right around the corner, it may seem like there is a lot of time but it’s quickly disappearing. I don’t know about you, but my weeks fly by with as much fun as I am having here. It’s going to be party time before we know it. One step at a time Kimmi! Right now we are focusing on donations for auction items. I know that I will have great handmade ornaments to donate! What are you sharing? The WHS thrift store will have a kick off sale on Friday and Saturday September the 12th and 13th. This is one stop shopping for your decorating and costume needs! Plus you are supporting the best place in Salem by shopping here. If you have the time you could even volunteer. The holidays will bring a rush of donations and shopping so consider helping out here as well! 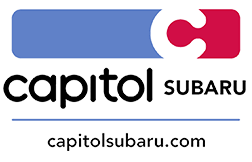 Join us at Capitol Subaru for Mutts on the Mile, a free and fun mile-long walk around the lake! Featuring hydration, wine and beer, snacks, and adoptable dogs! Stroll, power walk, or run the mile loop and enjoy the hydration station at ¼ mile, refuel your pup at ½ mile, and get the spritzer at the ¾ mile. When you cross the finish line, enjoy wine and beer, eat a little snack, and visit dogs from Willamette Humane Society. September 17th from 5-7 pm at Capitol Subaru 3235 Cherry Avenue NE Salem 97301. Please make sure that when cleaning cat kennels you get all gunk out of the kennel before you spray it down. Remove all food and litter and scrub the gunk (snot and whatever else) may be on the kennel floors and walls. Let’s keep up with our fantastic reputation for a clean and healthy home for our kitty cats. There are quite a few openings right now. Please ensure you read the application instructions and follow them carefully. • Remember not leave harnesses on dogs (unless a sign says otherwise) they get eaten this is not good for the dogs stomach or the shelters budget. • Please do not remove signs from the kennel card holders. They now live in the kennel card holders so that we do not have to search for signs all over the shelter. This is to help us save time and take better care of the signs we have to ensure they last longer. This makes it easier for everyone to know what is going on with a specific dog as well. If you have any questions or concerns about the signs please see a member of the staff. We are happy to resolve any confusion. Thank you for your cooperation everyone. • Only yellow and red/blue tag volunteers can mentor new walkers to green and should use the green tag mentor checklist in the plastic box in the volunteer room. If you would like to be a mentor please contact your team captain or myself. o If new volunteers mentor other new volunteers we are not sharing correct knowledge. It takes a long time to get a good handle on what all the rules are for a dog walk shift and after even a month of walking there is still so much to learn. Incoming walkers need to have the experience of a longer term walker as a mentor in order for us to ensure the safety of the walkers as well as our dogs. Thank you all for cooperating if you have any questions or concerns please let me know. Take a moment to congratulate Sam Fenwrick on her recent promotion to Adoptions Supervisor. As we say good bye and good luck to our much loved Maryann (she is moving to Texas) we are so very happy to welcome aboard Sam to our Support team. Sam has been a volunteer for many years before becoming an adoptions staff member. With all that she has learned in that time it is a natural fit. Sam has several dogs and cats including some mischievous basset hounds! Have you seen the big 50 in the hall by the kitten room? If not go check it out. The goal is to fill in the 50 with pictures from happy tails. Pictures of pets adopted from WHS. If you have an adopted pet from here please bring in and put up a picture. If you have a friend or a family member who adopted from us ask them to give you one to bring in as well. We will not be contacting anyone to come back in to get the pictures so make sure it is a copy you do not necessarily need back. I am getting a few pictures of Vinny together to decide which one will be the best one! The OSU Human-Animal Interaction Lab is currently looking for volunteers to participate in a behavioral research study with their dog(s)! In this study, we are looking at the effects of nasally-administered oxytocin (a naturally occurring hormone that is involved in bonding in social relationships) on attachment behavior in dogs with and without separation anxiety. Dogs will receive a small dose of either oxytocin or saline nasally, and after a 30 minute waiting period, they will participate in a short attachment test with their owners in order to determine how much time dogs spend in proximity to their owners before and after a short 2 minute separation period. Currently, we are looking for volunteer animals that are at least 1 year of age, in good health, current on vaccinations and do not have separation anxiety or a history of separation anxiety (i.e. severe distress in the absence of the owner-destruction/chewing of walls/doors/other objects in the home, howling or barking that persists for long periods of time during the owner’s absence or attempting to escape the home when the owner is absent). We are asking for each dog to visit the lab twice (they will receive oxytocin on one visit and saline on the other) with dates of participation spaced at least 5 days apart. We will also be looking for genetic correlates of attachment behavior-which means we will also ask to collect saliva from each dog at the time of testing. Or email Lauren Thielke, the lead researcher on this project at laurenthielke@gmail.com. If your dog currently has separation anxiety or has a history of separation anxiety, and you would like to be notified when we begin recruiting, please fill out the form at the link above. We will compare results of dogs with and without separation anxiety to see if oxytocin can be used to help improve behavioral therapies for separation anxiety. Thank you! If you have questions, please email me at laurenthielke@gmail.com. We’re so excited to have all volunteers and want to give you a benefit! Please register this month for any dog training group class and enter PawsUp! At the online checkout page for a 25% discount on all classes. Canine Rx volunteers, Open Paw Instructors and Behavior Team volunteers … we love you and want to show our gratitude! You are welcome to enjoy any group dog training class for 50% off our regular prices in the month of August. Please emailcatherine.steinke@whs4pets.org to get the discount code which can be applied at the online checkout.